The night before mixing the dough you will need to prepare a “soaker.” Put the cracked wheat in a small heatproof bowl. Pour enough boiling water over the wheat to cover it. Stir the wheat until fully hydrated and cover with a towel. Add the “soaker” at the beginning of the Mix. Pay attention to how the dough feels, you may need to add some extra water to offset the absorption of the cracked wheat. Finish the steps through the Bake. 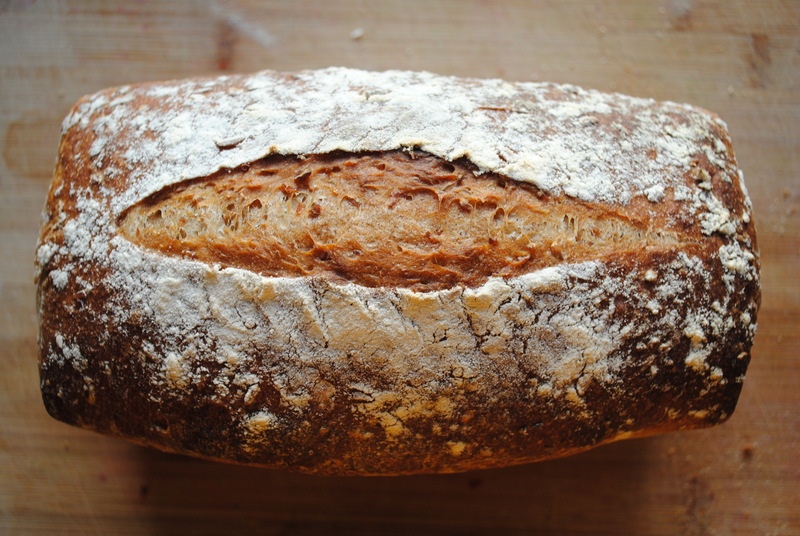 This bread is hearty and delicious. Perfect for a sandwich or soaking up roast meat juices.